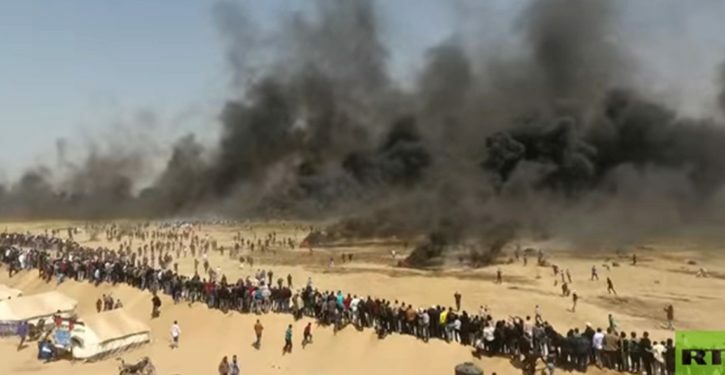 The Israel Air Force launched a major wave of strikes at Hamas targets across the Gaza Strip on Friday evening as a cabinet minister said Israel was preparing a massive response to Hamas’s failure to heed repeated Israeli warnings to end the violence along the Gaza border. “At this time our aircraft are carrying out widespread attacks against terror targets belonging to Hamas in the Gaza Strip,” the IDF said, adding that this came after the “serious shooting incident against our forces,” referring to sniper fire at IDF troops during a riot on the border earlier in the day. The IDF later revealed that a soldier had been killed in the incident.